Have you been wondering what the difference is between our Tuscany® Series, Trinsic™ Series, and Style Line® Series vinyl products? Or whether or not to choose an Essence® Series wood window over the fiberglass Ultra™ Series? 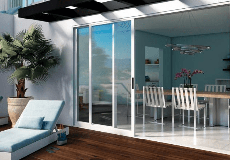 Finding the right window or patio door for your home can be confusing. To help, we have provided a complete comparison chart that outlines our window and patio door products available. We hope it will help you in the selection process. Still have more questions? Just request a free window consultation and one of our knowledgeable Milgard Certified Dealers will be happy to help. Enjoy your window and door shopping.